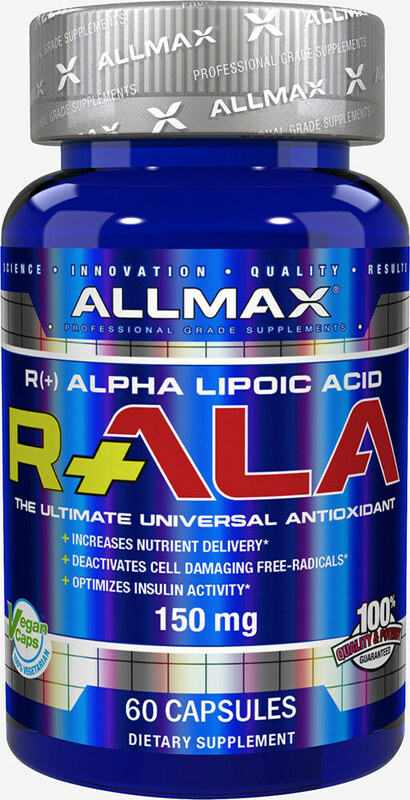 R+ALA version of ALA is the purest form of Alpha Lipoic Acid. Commercially available ALA products on the market today tend to be cheaper and consist almost entirely out of S(-) isomer of Alpha Lipoic Acid. These inferior products have significantly weaker nutrient delivery and antioxidant properties. Allmax R+ALA contains 150 mg of biologically active Allmax R+ALA contains a full 125 mg of the pure biologically active R+ Isomer, the mitochondrial form found naturally in the human body. Make the switch to purest most bio-active ALA, Allmax R+ALA.